The water hyssop is the herb which is used to treat myriad health conditions and it is forming an integral part of the Ayurvedic medicine. The scientific name of water hyssop is “Bacopa Monnieri”. It is more commonly referred as “Brahmi” in the Indian Ayurvedic medicine. In the western world it is known as water hyssop. It has many health benefits and it is useful in the treatment of neurological problems. 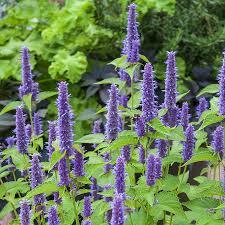 Water hyssop grows largely in South Asian countries of China, Sri Lanka, India, Pakistan and Vietnam. The water hyssop can be easily grown in damp conditions of a pond. The water hyssop is a little bitter in taste and it can be used in soups and salads. In many parts of the Indian subcontinent the water hyssop is used for many purposes. The water hyssop is loaded with vital vitamins and minerals needed for the human body and its normal functioning. Water hyssop is a good source of fatty acids, pectic acids, glutamic acid, ascorbic acid and betulinic acid. Women who are pregnant should talk with their doctors before they consume water retention. This herb can have some side effects so always talk your doctor before you start using it. Diuretic: You can use the water hyssop as a diuretic because it can help to promote the good blood flow in the body. Keeps other health ailments at bay: The water hyssop is used as a natural treatment of the respiratory problems like bronchitis and asthma. Also you can use it as your natural cure for leucoderma and leprosy. Treats sleep related disorders: It has sedative properties which can help to reduce the convulsions in natural way and it will keep your mind calm. It supports the mental health and it wards off stress from the body. Wards away cancer: There are many studies in which are said that the water hyssop has anti – cancer properties and it can help to ward off concerns of many types, such as cancer and stomach esophagus. Potent pain reliever: The water hyssop is used to treat backache, epilepsy, pain in the joints and headaches. The water hyssop makes its way in the preparations of many concoctions which are used to relieve the pain. Antioxidant: The water hyssop has anti – oxidant properties which can be easily used in the everyday cooking as a salad dressing. When you are consuming water hyssop in right dosages, then it can help to flush out toxins from the body. Helps improve concentration: The water hyssop is taking an important part of the Ayurvedic medicine. It is known to stimulate the cerebral blood flow. Also it can stimulate cognitive learning abilities in people. In the Ayurvedic medicine, the water hyssop was an effective way to improve the memory of some person and the mental acuity. In this medicine was said that when you ingest the water hyssop, then this will vouch your memory and ability to focus which mean that it will be improved. Promotes hair growth: The water hyssop can help to stimulate hair and skin growth in our bodies. Also this herb can help to reduce the hair fall and it can promote healthy hair growth. Astringent: There are many expensive astringents in markets but the water hyssop tincture is an effective astringent which can help to cleanse the skin and also it can close skin pores. You can use it to counteract sagging and wrinkles. Antiseptic: You can use the extract of water hyssop to naturally treat the burn if you accidentally cut or burn your hand. 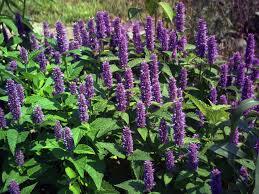 When the hyssop oil is applied on open wound, then it can ensure that does it not get septic. Also this oil can speed up the healing process. Reduces wrinkles: In the Ayurvedic ointments the water hyssop can be used to reduce wrinkles. When you apply it generously on your skin, then it can help to tighten the skin and it is making you to look younger and more radiant. Skin miracle: It is known that the water hyssop can be very effective for the treatment of skin problems like abscess, eczema, psoriasis and ulcer. Also it can help to cure many other skin problems which are many people prone to.